1. IT'S BEGINNING TO LOOK LIKE XMAS (100 SCHOTTISCHE). 2. SILVER BELLS (108 WALTZ). 3. BLUE CHRISTMAS (88 BLUES). 4. SANTA CLAUSE IS COMIN' TO TOWN & HERE COMES SANTA CLAUSE (100 MARCH MEDLEY). 5. RUDOPH THE RED NOSE REINDEER (100 TANGO). 6. 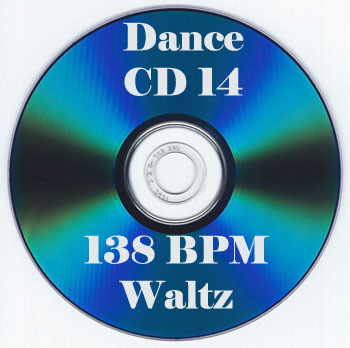 MOST WONDERFUL TIME OF THE YEAR (138 WALTZ). 7. SLEIGH RIDE (100 POLKA). 8. WINTER WONDERLAND (100 SCHOTTISCHE). 9. WHITE CHRISTMAS (92 FOXTROT). 10. WE WISH YOU A MERRY CHRISTMAS (120 WALTZ). 11. I'LL BE HOME FOR CHRISTMAS (96 TANGO). 12. JINGLE BELLS (100 POLKA). 14. LET IT SNOW (100 CHA CHA). 15. YOU'RE ALL I WANT FOR CHRISTMAS (88 BLUES). 16. A MERRY LITTLE CHRISTMAS (96 FOXTROT). 17. CHRISTMAS WALTZ (120 WALTZ). 18. THE CHRISTMAS SONG (92 FORTROT). 19. SILENT NIGHT & WHAT CHILD IS THIS (108 WALTZ).